Stair climbers are among the healthiest people you’ll ever see. Doctors even recommend stair climbing for people who have weight problems. Nevertheless, stairs are a headache for people suffering from joint pains. But thanks to technology, this problem will soon be a matter of the past now. A new technology in staircase design is now being used to decrease the strain involved in stair climbing. If you’re not a fan of climbing stair case, then check out these Energy Recycling stairs. They feel like walking on pillows. 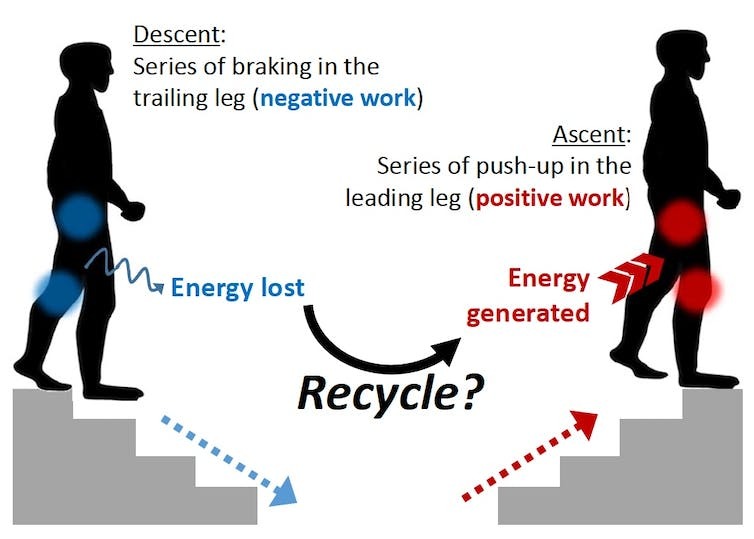 A group of engineers (including mechanical and software engineers) is working on a staircase design that reduces energy input while climbing stairs, hence aiding people to climb them more easily. Karen Liu an engineer at Georgia Tech proposed this idea in order to help her mother move easily within the house. According to The Conversation, Yun Seong Song a member of the development team in this project explained that these staircases trigger a spring as your climb. The stairs have springs and sensors incorporated which support your legs as you move upwards. This option is far better, cheaper and reasonable than elevators and escalators. It’s evident that this system could replace all story climbing techniques, due to the convenience and support they provide. Moreover, this system can be installed on any kind of staircase system, be it a spiral stair case system or the normal stair system.